I love recycled crafts & activities. There is nothing better (and more frugal!) than taking something that you would normally throw away and turning it into something new! 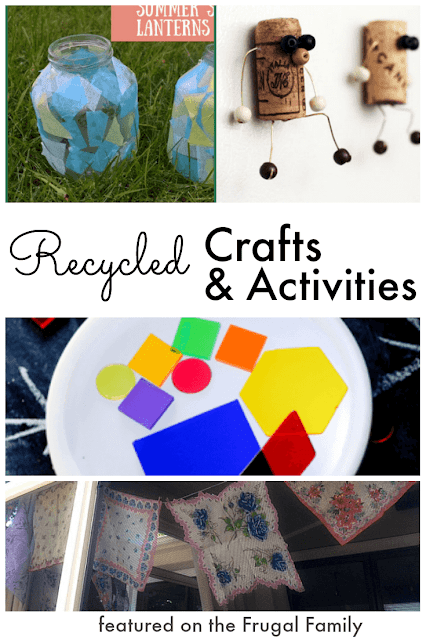 This week we're featuring some really cool recycled crafts and activities that I think you will love! Hen Family gave us 12 Adorable Recycled Crafts. This is an amazing list - I can't pick a favorite! A Little Pinch of Perfect made a Super Easy DIY Mini Light Table. If you're making a special dessert for July 4 this is a perfect way to reuse a container! Grace, Grits, and Gardening showed us how to make an Easy Peasy Vintage Hanky Bunting! There are so many possibilities with this idea - it would go great with this tutorial on Kid Made Decorated Handkerchiefs from Craftulate for a super cute kid's activity! Want more recycled crafts & activities? 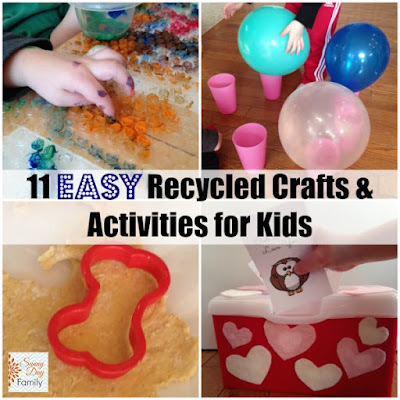 Check out our list of 11 Easy Recycled Crafts & Activities for Kids! We had some really great ideas linked up in June, and my co-host Sarah from Our Daily Craft has a wonderful round up of all of them! Click here to check it out. If you haven't "met" Sarah yet you need to! Sarah lives in Arkansas with her husband and almost six-year-old daughter (referred to on the blog as "the girl"). 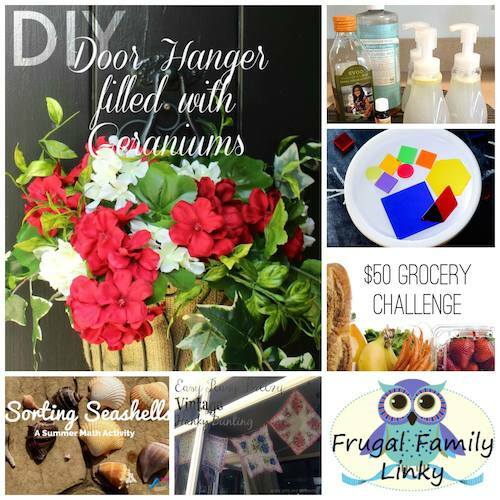 Our Daily Craft is all about crafting with and for kids, creativity for moms and other busy people and creating the life you've always wanted. She also writes about knitting for About.com and CraftGossip.com, about local food news at NWA Eats, and has written three knitting books. 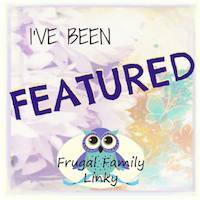 Thank you for co-hosting the Frugal Family Linky - I love this week's featured posts as well! You're welcome! It's a great idea.